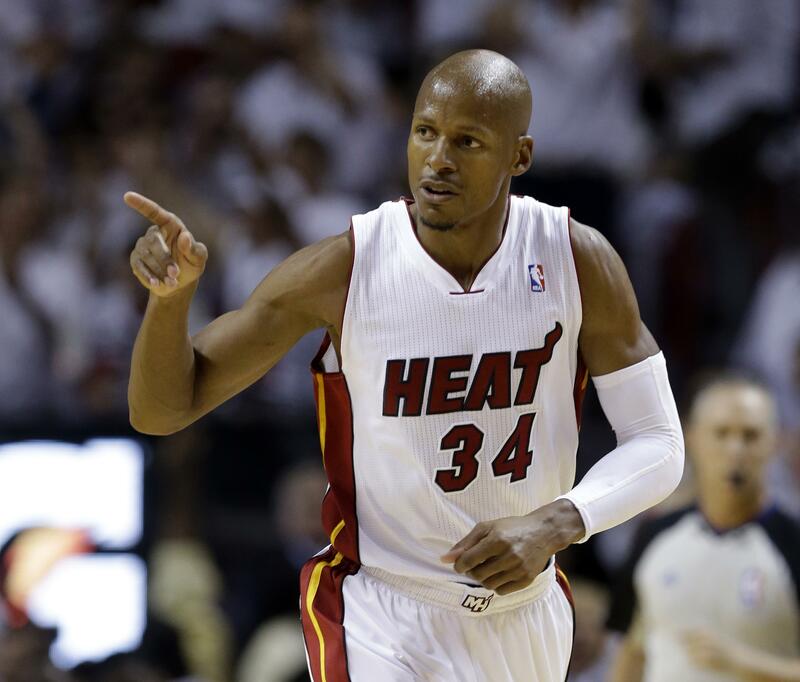 Tue., Nov. 1, 2016, 6:17 p.m.
MIAMI – Ray Allen won championships in Boston and Miami, made one of the most memorable shots in NBA Finals history and has more 3-pointers than anyone who ever played in the league. More than two years after his last game, he’s decided that was enough. Allen announced his retirement on Tuesday in a post on The Players’ Tribune website. Allen spent 18 seasons in the league with Milwaukee, Seattle, the Celtics and the Heat, averaging 18.9 points in 1,300 regular-season games and appearing in 10 All-Star Games. “On behalf of the NBA family, I want to thank him for being a wonderful ambassador for the game,” Silver said. Allen entertained thoughts about a comeback over the last two years and had plenty of opportunities from title-contending teams. But nothing ever lured him back, although the door always remained a tiny bit open – until now. Allen starred in the 1998 Spike Lee film “He Got Game.” He portrayed Jesus Shuttlesworth, a top-ranked basketball prospect, whose father (played by Denzel Washington) is in prison for killing his wife. On the court, teammates and coaches raved about Allen’s famed work ethic and commitment to fitness – which now takes a different form, after he and his wife, Shannon, recently opened an organic fast-casual restaurant in Miami. Allen was almost always on the floor for a workout three hours before games, shooting on some occasions before the arena lights were even turned on. Allen had the record for 3-pointers in a season for seven years, his mark of 269 standing until Stephen Curry of Golden State made 272 in 2012-13 – a record Curry has topped twice. “The greatest shooter to play the game,” Curry wrote in a tweet Tuesday, congratulating Allen on his career. In all, Allen made 2,973 3-pointers in regular-season games, which doesn’t even count the one that was his most unforgettable. His 3-pointer from the right corner with 5.2 seconds left in Game 6 of the 2013 NBA Finals for Miami sent the Heat to overtime against the Spurs in a win-or-go-home game, and helped them go on to win the title in seven games. Chris Bosh got an offensive rebound and passed to Allen, who was backtracking toward the corner. Allen, without even needing to look down to ensure that he was behind the line, elevated over Tony Parker and connected to tie the game – even as arena workers kneeled around the court, holding the rope that they presumed they would soon be called upon to cordon things off for the Spurs’ championship celebration. On his way back to the bench to prepare for overtime, Allen gestured to those workers, shouting to put the rope away. Published: Nov. 1, 2016, 6:17 p.m.